The faculty of the C. T. Bauer College of Business at the University of Houston is among the most dedicated in academia. This year, three faculty members at the Bauer College will retire after decades of contributing to the university and their fields of research. 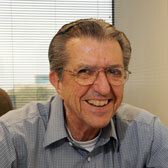 Conn Appliances Faculty Fellow and Marketing Professor Keith Cox has served as a very active faculty member for 46 years at the University of Houston. He served as the chair of the Department of Marketing & Entrepreneurship for 15 years, and is estimated to have given over 30,000 Bauer students their first exposure to marketing. He received teaching awards at both the university and college levels at UH. In addition to his teaching and research, Cox was the national president of the American Marketing Association in 1980. 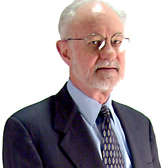 He is the author or co-author of 10 marketing textbooks and readers, including The Marketing Research Process, Experimentation for Marketing Decisions and Marketing Classics. Diaz-Saiz joined the faculty at the university in the fall of 1985. He has participated in projects for a wide variety of firms in the public and private sectors in the areas of sampling design and analysis, forecasting and inventory control. His research interests include Bayesian forecasting, inventory control and time series analysis. His teaching interests include Bayesian statistics, time series analysis and linear statistical models. Diaz-Saiz has served as a referee for numerous scientific journals and was associate editor of Communications in Statistics. He has articles published in journals such as Annals of Statistics, Communications in Statistics, Journal of Statistical Planning and Inference, International Journal of Forecasting and Estadistica. He received his Ph.D. in statistics from Oklahoma State University. Francia has been with the university for 40 years. Prior to joining the University of Houston in 1974, Francia served on the faculty at Penn State University. 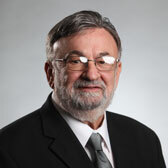 His teaching area is managerial accounting, and his research interests include managerial control and personal computer applications in accounting. Francia is co-author of four accounting textbooks, including Accounting Flows and Disclosures, Financial Accounting (tenth edition), Managerial Accounting (ninth edition) and Principles of Accounting. His work has appeared in many journals, most notably The Accounting Review, Journal of Accountancy, Management Accounting, American Bar Association Journal and Internal Auditor, among others. Francia received a Ph.D. in accounting from the University of Minnesota.